Supergirl has had better days. Nobody in Nation City, except for Ben Rubel, trusts her and the D.E.O. after they hid the fact the Cyborg Superman, Kara Zor-El's father, was in an underground laboratory. 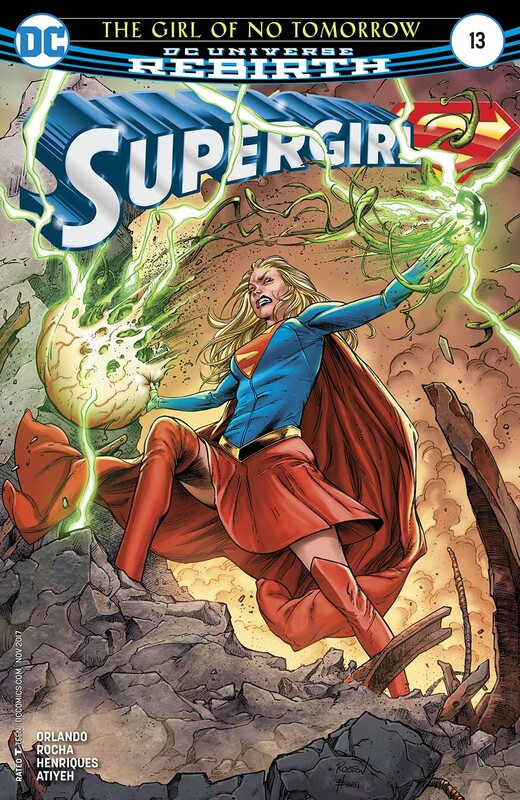 To make matters worse, Zor-El killed Indigo to save Kara after the Lost Daughter of Krypton defeated Emerald Empress. D.E.O. Director Chase is forced to resign while Jeremiah and Eliza Danvers have taken on civilian jobs. Chase and Lar-On want to seek out the truth of recent events. 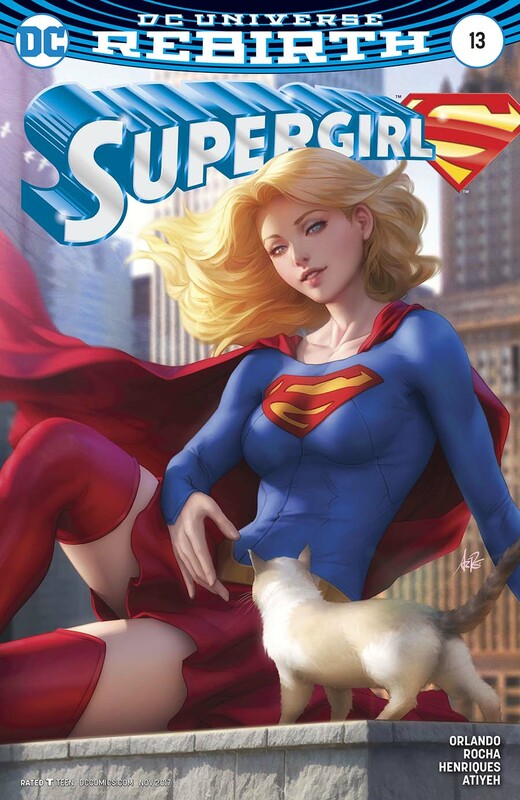 Cat Grant wonders what good Supergirl is really doing, and new D.E.O. Director Bones has some secret agenda that could greatly affect Supergirl. We'll find out more about that as Kara Zor-El's life goes in a new direction. In the meantime, Mr. Oz has the Cyborg Superman. This is just the beginning for Supergirl and those for whom she cares. Story - 4: If only people just discussed everything. That seems to be the running theme of this issue. Everyone hid something from somebody else thinking it was the right thing. It made for good storytelling in my opinion even if I feel like this arc ended in a rushed way. Perhaps another issue would have helped it not feel that way. Still, I'm having a good time reading this title. I'm curious to see where it will go next. Art - 5: The art is pretty solid and wows the reader. I couldn't ask for more than that. Cover Art - 5: Why are we not seeing more art like this. These covers are stupendous.